We are delighted to announce that the 2019 cover illustration was created by Hannah Coulson. 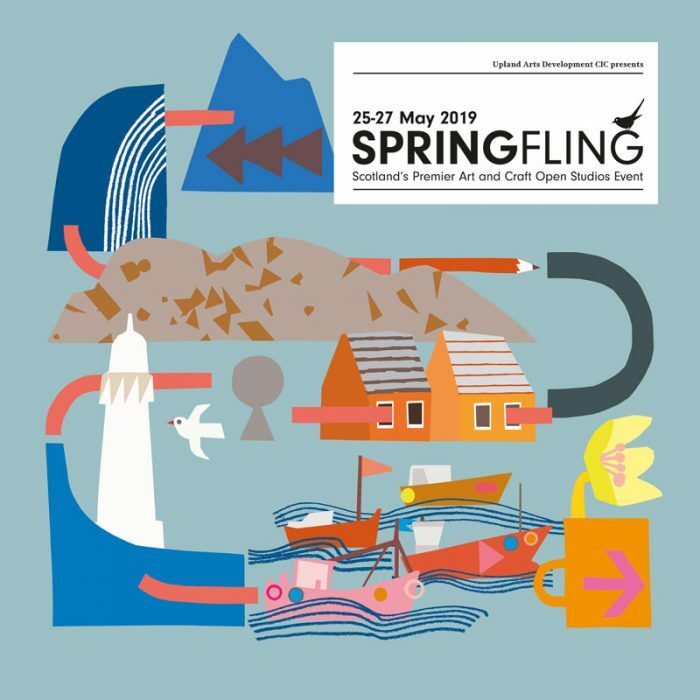 Every year we produce a high quality brochure to outline everything you need to know about visiting Spring Fling. This 84-page full colour brochure details all our studio and programme information, from artists’ statements, what to expect in their studios, details on evening openings, workshops, public art, activities for families and information on getting around the region and other Upland projects. The brochure is widely distributed throughout the UK and FREE to pick up. You can also request a brochure via the Spring Fling website here. There will be a small charge for postage and packaging.